Division J | Toastmasters in the South West Corner of the UK! 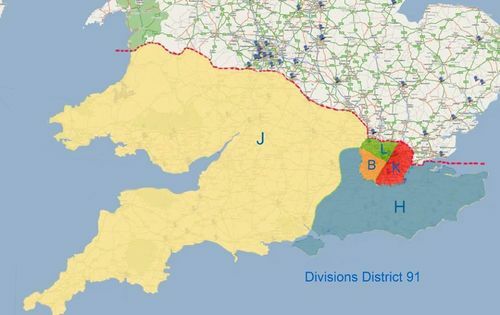 Division J – The newest Toastmasters division in the UK and Ireland, we cover the South West corner of the UK – from South Wales, across to Bedfordshire, south to Hampshire and across to Devon and Cornwall. If you’re wondering about what Toastmasters is all about, have a look at our ‘About Toastmasters’ page. * To build and support a strong division team that builds club growth, membership growth and club strength. * To run division events with well run contests and workshops that draw people together from across the division. * To support and encourage youth involvement and learning. Do you want to share stories and information on the Division J website? Just send the information through, or ask to be set up as a contributor on the website! Awesome website Jean, lots of information and great to see it all in one place. Excellent stuff Jean. Best of luck for the coming year! Great to see we are part of a Divsion that doesn’t stretch from Lands End to John O Groats as Division E did. All the best for theyear. A very nice job, Jean. I like the look of the website. Very informativie and useful. Jean, love this website, it is really fresh, clean and lots of up-to-date information. Am also really enjoying the tweets! Great website Jean – useful for new guests and established members alike. It’s good also to keep in touch with our ex-Div E pals in your new home of Div J. Best wishes for the current Toastie year and I hope to see many of you in Glasgow for Flourish Autumn Conference. Could I write a few words for this site to give some further PR for Flourish? We are about to announce Keynote speaker so could include this “hot-off-the-press” info for Div J Website. Cheers All! Anyone out there wanting to start a Club in Petersfield area. Warning, I was a member 50 years ago.